A dog bite or animal attack can lead to permanent disfigurement and expensive medical treatment to address injuries and infection. Owners are liable for their pet’s behavior. If you or a loved one has been attacked by a dog, it is important to talk with a knowledgeable personal injury attorney immediately after receiving proper medical care. The trauma involved can also be emotional. We will fight for you, handling all aspects of your case and allowing you or your loved one time to heal. If you or a loved one were bitten or attacked by a dog in the state of California, the state’s laws are in your favor. California is known as a strict liability state. This means that a dog owner is strictly liable for his or her dog’s vicious behavior. Many times, attacks are covered by the dog owner’s insurance policy. We have extensive experience with this section of California state law and will work to recover the maximum amount of compensation on your behalf. Those who have been bitten are not the only victims of dog and animal attacks. Parents of children who witness such an attack may also suffer emotional trauma that requires future treatment. Call Hales & Associates, A Professional Law Corporation immediately to begin the process of recovering the compensation you deserve. 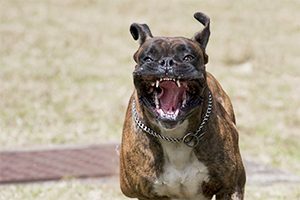 Hales & Associates, A Professional Law Corporation helps dog bites victims in Temecula, Murrieta, Wildomar, Menifee, Sun City, and Lake Elsinore prove negligence on the part of the offending dog’s owner. Dial (951) 489-3320 today to get started with your free consultation.